360 Solutions’ Professional Service provides our customers with expertise that are dedicated to helping them deliver solutions that meet their business requirements. We have an excellent track record and an expert staff skilled in market leading Capture, ECM and BPM (Business Process Management) technologies. These types of engagements involve expert-level consulting from our experienced senior staff. We custom fit our analysis to your business to ensure that you get the most out of your investment. Your business processes need to compliment the systems you are using. Our consultants will analyse your business processes and recommend changes to ensure you are getting the most out of your investments. Your day-to-day management of your workflow is paramount to the success of your system. We can help you take control of your system and ensure it continues to operate at its highest levels. Designing a scalable system ensures that you maintain your service levels through normal load as well as unexpected peaks. Our consultants will help you design your system to ensure it scales and you maintain your service levels. 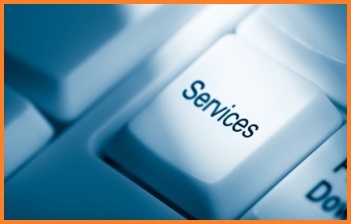 Professional Services provides workshops for administrators with training tailored its clients’ needs. These workshops cover system maintenance, backup and monitoring. Allows clients and system integrators to have access to experience and the knowledge for a specific time frame or project. On-Site / Off-Site training based on specific project or capture product. These training sessions are tailored to our clients or System Integrators needs and delivered by a senior professional with hands on experience. The Consulting Services team are experts with best practice experience, applications, technology knowledge and implementation. Our solutions increase the efficiency and effectiveness of financial transaction processing by eliminating or redesigning expensive, redundant, time-consuming tasks. The Professional Services team implementation methodology is based on top tier industry standard approaches, the specific demands of BPM and information capture implementation and the needs of our customers. The PS Best Practice methodologies enable us to achieve consistent results and empower our client’s to manage the solution moving forward. The PS team also has extensive experience delivering solutions following an agile approach. We offer this through a unique combination of highly productive iterative approach, BPM disciplines and agile techniques to deliver better-performing business processes quickly. We fix your implementation timeframe and work closely with you to prioritize requirements and jointly deliver on commitments.